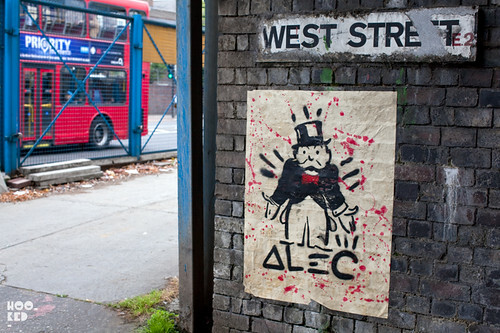 It's been a few weeks since we posted a Hookedblog London Street Art roundup so as it's Friday here's some of what we have been photographing over the last two weeks. 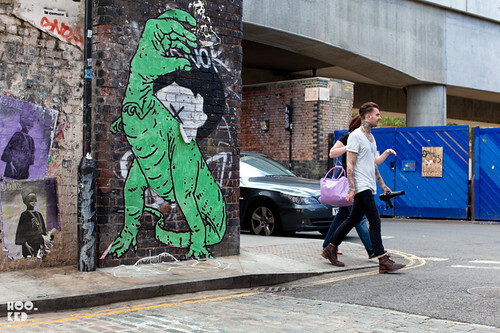 Mexican artist Buytronic on Brick Lane. 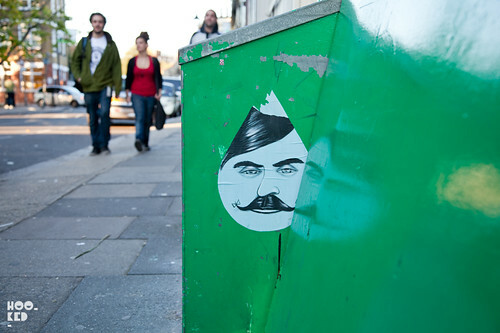 Parisian artist Ema was in town over the weekend adding some of her Dropmen characters to the streets. 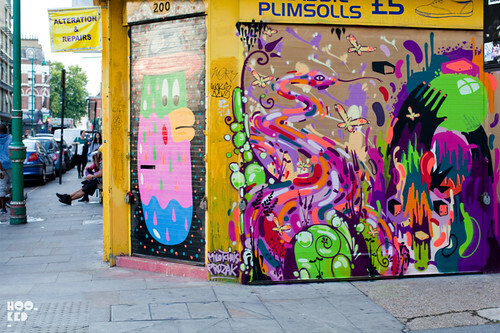 Collaborative shutter featuring Nylon, Word To Mother and Malarky on Hanbury Street. 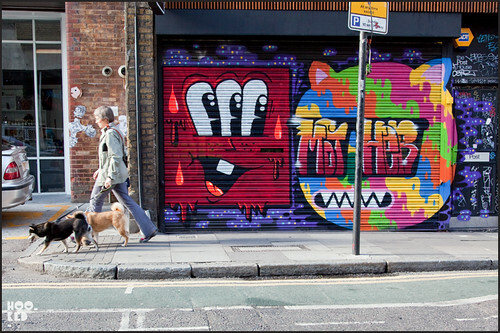 Milo Tchais repaints this shutter with the help of Prozak on Brick Lane. 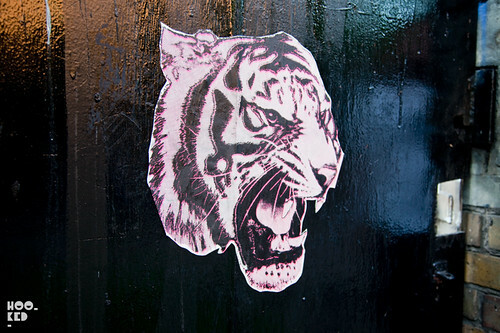 Vibrant paste-ups from Aida with neon/day-glow inks which can't really be seen in this picture. 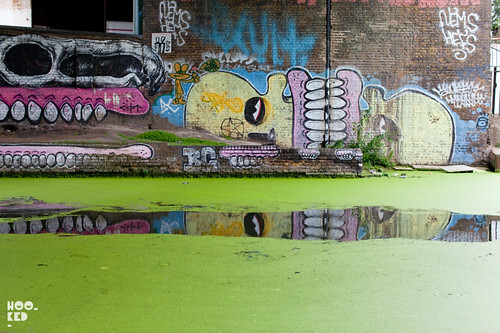 Featuring work from C215, Malarky, Dogboy, Pablo Delgado & ATG. Featuring work from Malarky, 45RPM, Nemo, Lister and Narcélio Grud.